The inaugural 2005 Everett M. Rogers Award was awarded to Arvind Singhal, a noted communication scholar, author and Ohio University professor who had the privilege to both study and work with Everett M. Rogers. Singhal spoke September 28, 2005, about entertainment-education and social change, weaving in his work with Rogers over the last 20 years, at the Everett M. Rogers Colloquium luncheon at the USC Annenberg School for Communication. Read the press release. Download his presentation. Read the transcript of Singhal’s presentation. 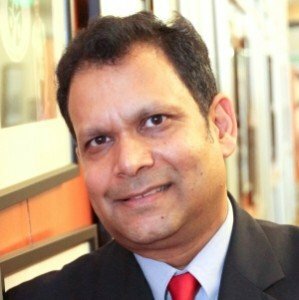 Dr. Arvind Singhal is a professor and presidential research scholar in the School of Communication Studies at Ohio University, where he teaches and conducts research in the areas of design and implementation of strategic communication campaigns, and entertainment-education communications. He is the author/editor of eight books about the field of entertainment-education strategy. He received his Ph.D. degree from USC’s Annenberg School for Communication where he has also previously taught.